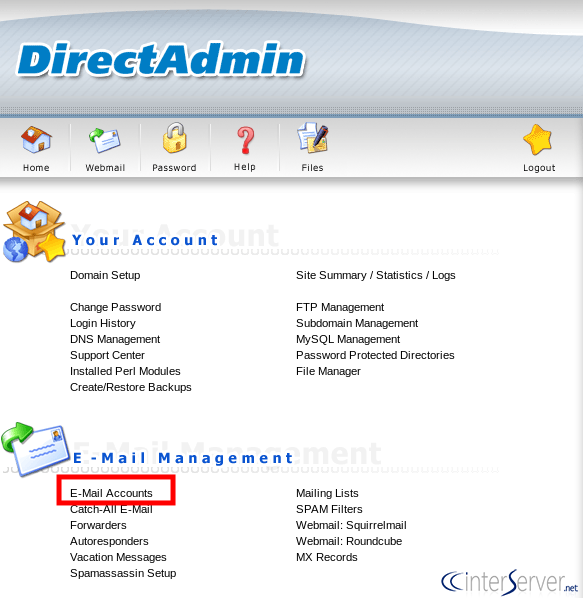 In this document, we can check how to manage email accounts from Direct Admin. 1) Login to your direct admin panel. 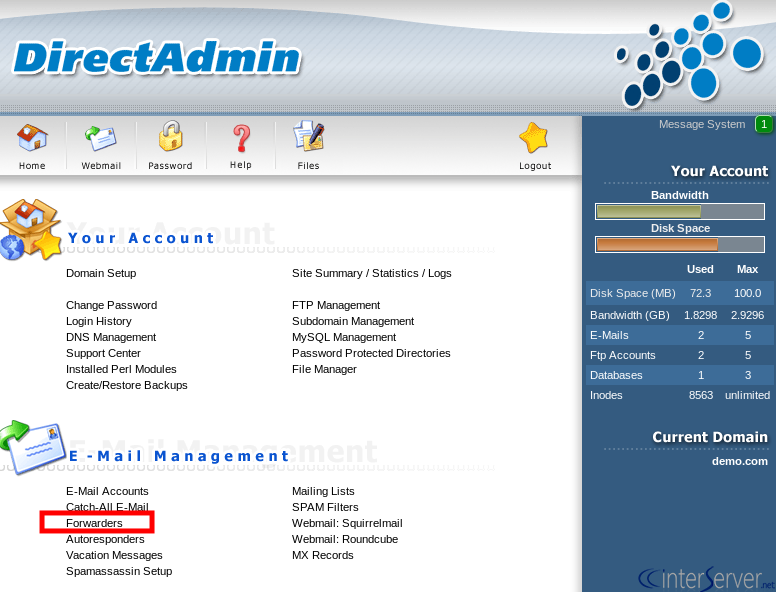 2) Click ‘E-Mail Accounts’ button from ‘E-Mail Management’. 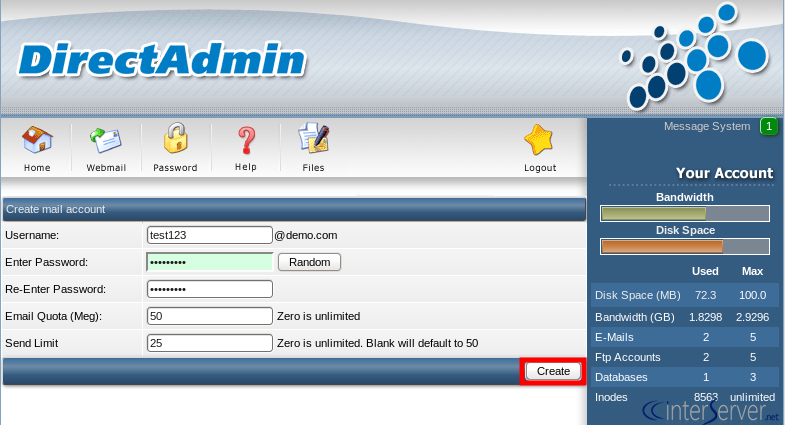 3) Click on ‘Create mail account’. 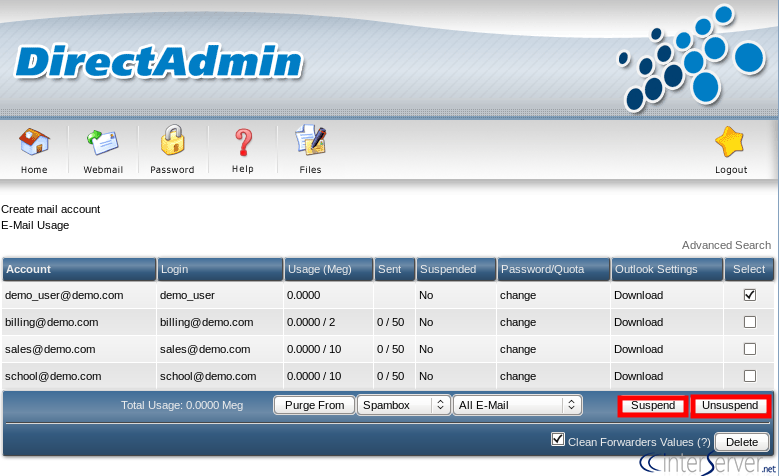 4) Enter the new email account’s details and click ‘Create’ button. 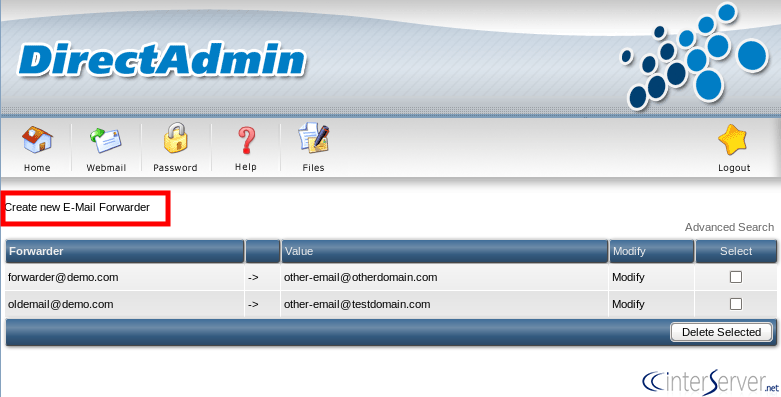 5) Now new email account has been created. 6) If you want to delete any email account, select the corresponding email account and click ‘Delete’ button. 7) Same way you can ‘Suspend’ or ‘Unsuspend’ the email accounts by clicking the corresponding buttons. 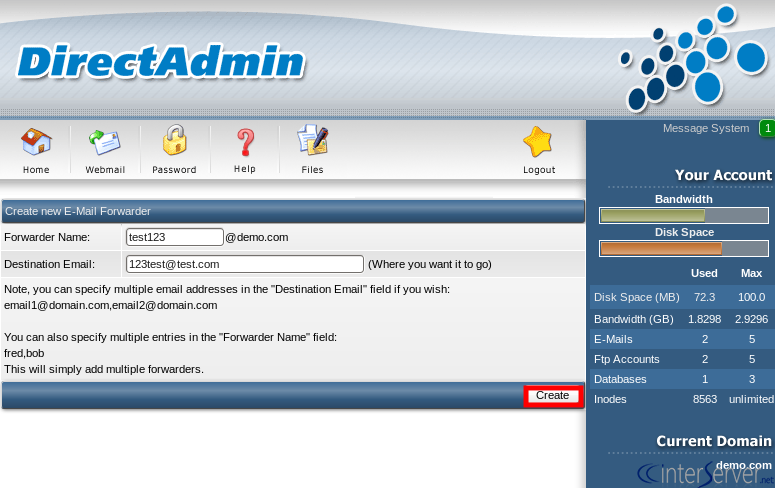 1) To create forwarders, click the button ‘Forwarders’ from ‘E-Mail Management’. 2) Click the button ‘Create new E-Mail Forwarder’. 3) Enter the details and click ‘Create’ button. 4) New forwarder has been created. 5) If you want to delete the forwarder, select the corresponding forwarder and click the button ‘Delete Selected’. 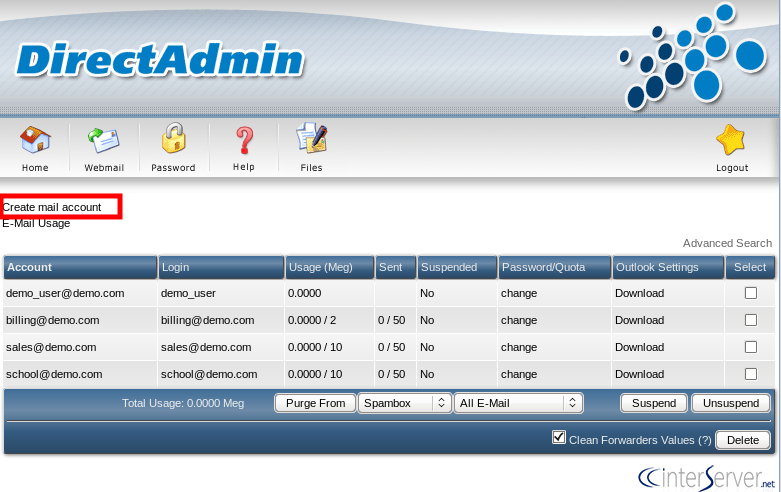 That is how we can manage email accounts from DirectAdmin.